It’s October, and it's Breast Cancer Awareness Month! The Outlets at Orange is teaming up with Susan G. Komen for the "More Than Pink" campaign. People can dine for a cause at two of the center’s most entertaining restaurants (Dave & Buster’s and Lucky Strike Lanes) on two special days this month. Guests looking to participate and dine at Dave & Buster’s from 6pm – 8pm on October 20 will be seated in a special area of the restaurant where 10% of the evening’s proceeds will be donated to Susan G. Komen. Lucky Strike Lanes will also donate 10% of diners’ proceeds on October 27, all day. Discount Card Program: $10 Discount Cards will be sold providing 25% off one item at participating retailers. All proceeds from the sale of Discount Cards go to Susan G. Komen. More Than Pink Hero Wall: An opportunity for survivors and their families to visually articulate their strength during their fight with breast cancer. Shoppers may purchase a sticker for a $1 donation and post the sticker on the More Than Pink Hero Wall. All proceeds go to Susan G. Komen. Dave and Buster's has a variety of fun foods and even more fun drinks! I love trying out all their drink concoctions. 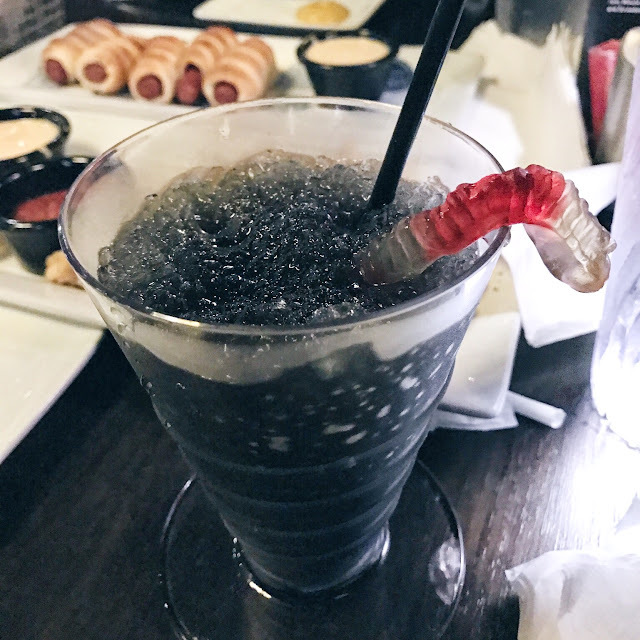 This pictured below is a drink made from a mix of grape soda and sprite topped with gummy worms (for the kids, or the kid at heart)! They always have the latest games. 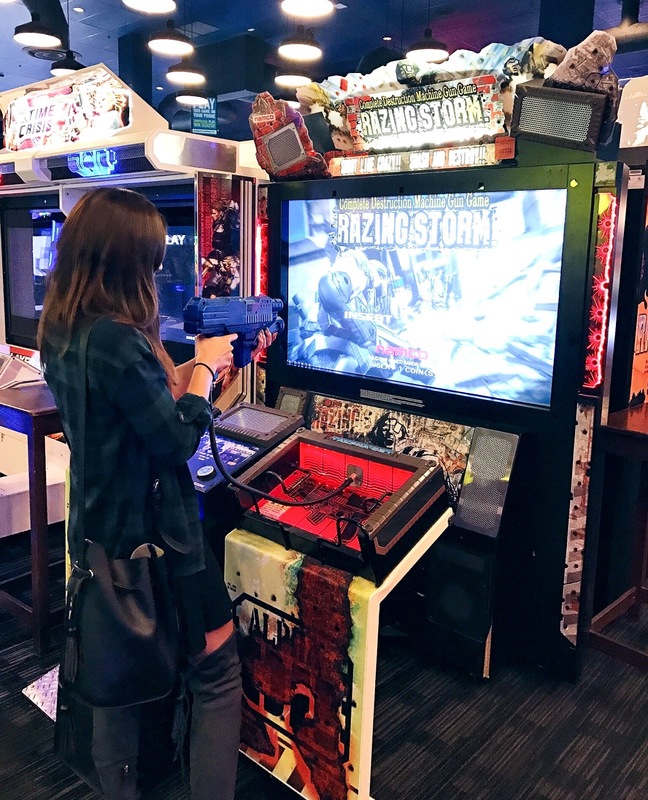 It's the perfect place to Eat, Drink and Play! Dine for a cause to support breast cancer awareness month!